OverviewWhether you’re interested in a family vehicle, or a safe SUV for less-than-perfect weather conditions, Oxmoor Toyota offers plenty of Toyota SUVs in Louisville, Kentucky. With innovative technology, advanced safety features, and a strong reputation for quality vehicles, you’re sure to find a Toyota SUV for your needs. We know that finding your next vehicle takes time, so we’ve compiled a list of our favorite Toyota SUVs! Learn about specific SUVs below, then call our Louisville, KY Toyota dealership to schedule a test drive! Lease a Toyota SUV at your local Louisville, KY dealership. Looking for a new design? The sleek Toyota C-HR is a “high-rise coupe”, offering comfortable handling and standard Toyota safety options in one vehicle. With a starting MSRP of $22,500 and 27/31MPG, this is one of the most affordable and fuel efficient model in the Toyota SUV lineup. The interior design is intuitive while the exterior design is bold, fun, and ideal for your daily commute. Plus, you can fit up to 4 additional passengers in this new Toyota SUV. The Toyota 4Runner is one of the most iconic Toyota SUVs for a reason; with body-on-frame construction, you can tackle any off-road adventure with ease. Designed for the modern adventurer, you’ll appreciate the ample amount of cargo space for camping gear. Starting at around $34,410 MSRP, this four-wheel drive vehicle is meant to explore all types of terrains. 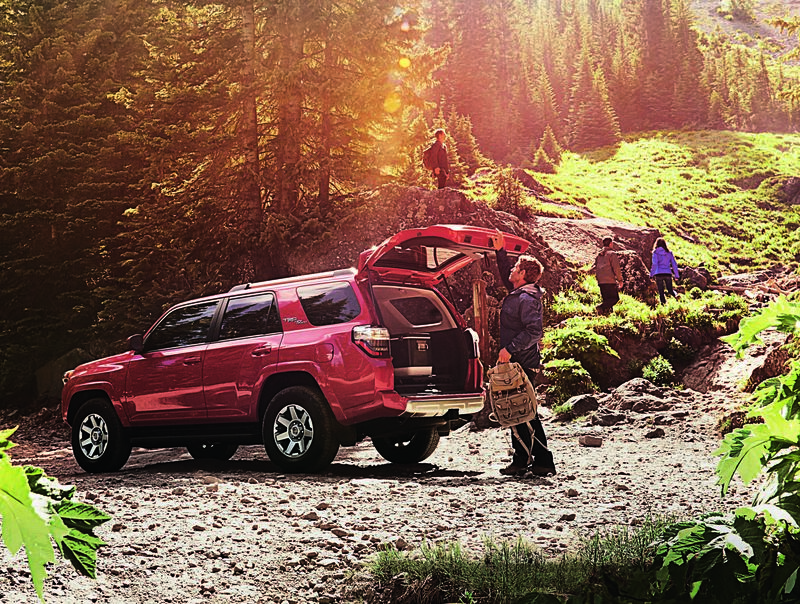 The Toyota 4Runner is best designed for active lifestyles, so we recommend this vehicle if you love going on hikes, camping trips, or driving around on rough terrain. 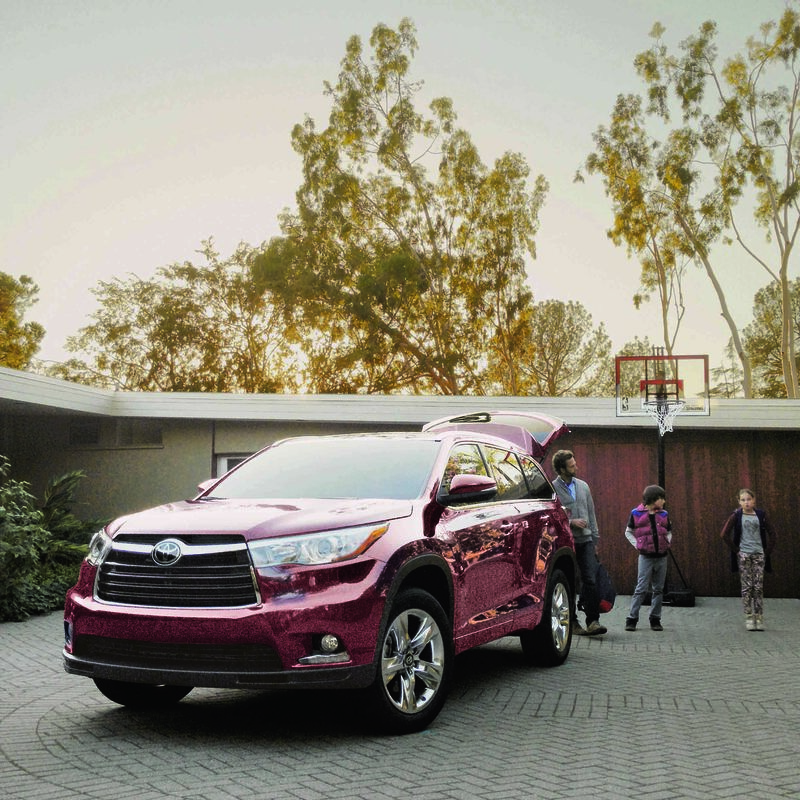 Versatile, sleek, and impressive are all words that describe the Toyota Highlander. Starting around $31,030 MSRP, this mid-sized SUV can handle your daily commutes as well as your weekend getaways. The standard model can tow around 1,500lbs, but upgraded models can tow up to 5,000lbs. Plus, this mid-sized SUV is fuel efficient, estimating about 21/27 MPG on your drives. The Toyota Highlander is perfect for drivers that commute around town, but still want a powerful SUV that can easily handle weekend getaways. 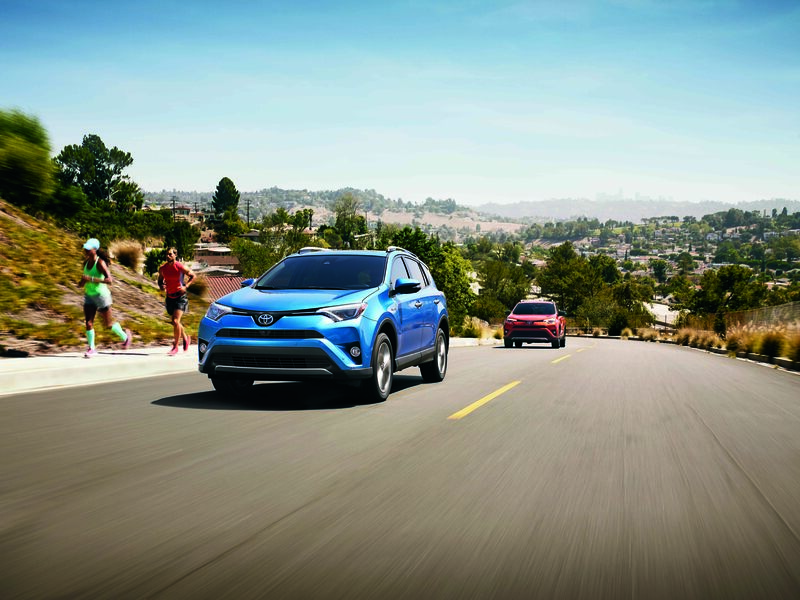 Jump into a crossover that is recognizable with the Toyota RAV4. With an estimated MPG of 23/30 and a starting MSRP of $24,410, this Toyota SUV is very well rounded. 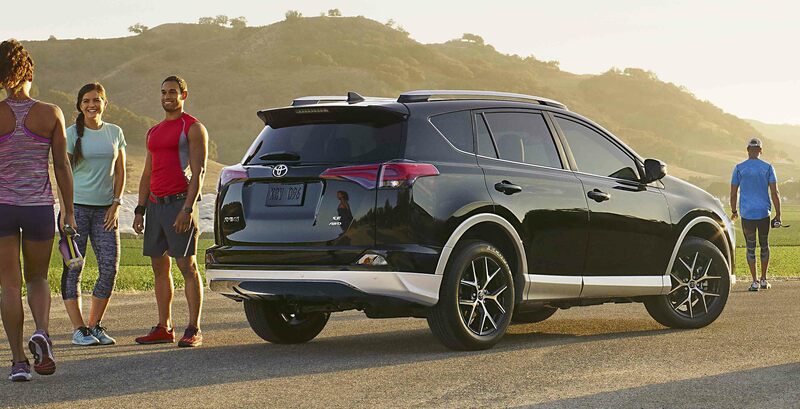 With plenty of safety features that come standard and a large amount of cargo space, you’ll enjoy every second in the Toyota RAV4. This vehicle is perfect for family trips to the grocery store or drives to football and baseball practice. You can rely on the smooth and balanced performance of the Toyota RAV4 to get you safely to your destination. While we also offer the Toyota Landcruiser and Toyota Sequoia, we know you can’t go wrong with any of our new Toyota SUVs. Whether you’re looking for an off-road vehicle like the Toyota 4Runner or Toyota Highlander, or something more for like the family like the Toyota RAV4 and Toyota C-HR, we can pair you with the perfect SUV. After you’ve found ‘the one’, our finance team will work with you to find a great Toyota lease plan or competitive auto loan that seamlessly fits your budget. Contact Oxmoor Chrysler Dodge Jeep Ram today to schedule a test drive at our Louisville, KY Toyota dealership!